Winter is Here! Game of Thrones fans are eagerly waiting to see what the season 7 finale has in store for Jon Snow, Daenerys (Mother of Dragons), and our favorite royal family… the Lannisters. 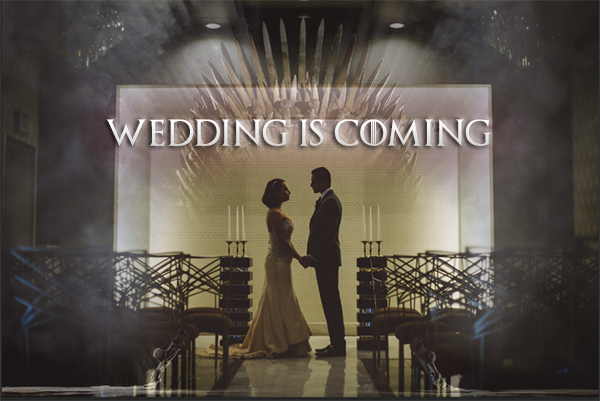 Due to the success HBO’s fantasy drama, many fans are creating their own version of this epic tale at their weddings. Inspired by the Renaissance tone of this world-wide phenomenon, the wedding experts at Chapel of the Flowers are giving their tips on how to create a Game of Thrones wedding that would even please the Lord of Light.